Four Muslim teachers from a Hindu majority Government School in Trincomalee suddenly realised one day that their Islamic religiosity appeared devalued because of the saree they were wearing and therefore decided to revalue their piety by switching to the black coloured abaya, which is a recently adopted Arab cultural dress and spreading no doubt in many parts of the Muslim world. That there is a correlation between the spread of this dress and a religious ideology that supports it is never in doubt. However, the school authorities, forgetting the fact that theirs is a government school, reacted by reminding those teachers that they were breaking the traditional norms of the school and insisted that either they switch back to the saree or leave the school. Had that school been a private institution its authorities would have been on a stronger wicket. This incident, as expected, got mixed up with the relevant ideology and led to public protest from sections of the Muslim community. In the end, the teachers took their case before the Human Rights Commission of Sri Lanka and won a decision in their favour. Congratulations! 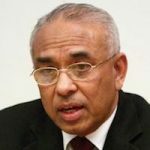 This victory over a piece of dress raises a number of other issues that will continue to fester inter-religious and inter communal-relations in plural Sri Lanka, although HRCSL urges the government and its educational establishment to encourage tolerance of cultural and religious diversity. On the question of a dress, the basic or primary criterion that should decide its acceptability or suitability is the climatic condition in which that dress is worn. Sri Lankan is a hot and humid country in which the dress one wears should be loose enough to allow air to penetrate and cool the body while adhering to the cultural values and norms of the society in which the wearer lives. There is a difference of opinion about whether black or lighter colour dress suits hot and humid climate. However, it appears that ‘floaty, breezy, delicate fabrics of the lighter colours allow all the solar heat fighting its way to our skin to just reflect away instead’. Even if black is acceptable the tightly fitted head cover of abaya will be extremely uncomfortable on humid days. The sweat it produces is bound to create health problems. The saree instead avoids these discomforts. This is why it became indigenous to the Indian subcontinent and Sri Lanka. Let the scientists and medical experts and not All Ceylon Jamiyyatul Ulema (ACJU) have the final word on this. The second issue is the relative religiosity of abaya. This assumed Islamicity automatically downgrades saree wearers as less Islamic. This means millions of Sri Lankan Muslim women, both alive and dead, are and were condemned as imperfect Muslims, if not non-Muslims. This is the absurdity of the conclusion to which the Islamicity argument drives one. Thirdly, even if one goes along with the Islamicity criteria there are two other conditions that need to be justified according to Islamic jurisprudence. One is dharurat or necessity, and the other is maslaha or welfare. It abaya a necessary attire for a woman to be a pious Muslim? A corollary to that question is does cloth make a Muslim? To answer these questions in the affirmative would devalue the entire faith of Islam. The second condition is more important than the first, especially in a multicultural, multi-religious and multi-ethnic society like Sri Lanka. Does abaya enhances or disturbs public welfare? Welfare in this context would mean public peace, cultural acceptability and national integration. In short, shouldn’t the promoters of this attire and the teachers who took their case before HRCSL also care for a verdict from the court of public opinion? This court is more important than the court of HRCSL. In deriving the rules of fiqh in Islam ijma or public opinion is one of the sources. Does this ijma include only Muslim opinion or even non-Muslim opinion in a society where Muslims live as a minority? Any dress that appears confronting in the eyes of the majority will make the wearers increasingly isolated. Above all, there is an element of hypocrisy in the fight for abaya in terms of Human Rights. It can cut both ways. If it is a human right to wear that dress then it is equally a human right if a Muslim girl wants to get out of it and wear something different. This freedom is denied in several Arab countries. In Sri Lanka, the democratic ethos that prevails in this country has allowed those teachers to fight for and win their human right. Will these heroes and heroines be brave enough and dedicated enough to fight for human rights demonstrate in front of the embassies of such countries in Colombo demanding those rights be extended to their sisters in the Middle East? I’m a keen reader of articles written by Dr,. Ali and few others, which make sense. I’m a practising Muslim and I have no issue with women , who choose to wear what they want, but it should be a decent one, the same is applicable to men. when I read this article between lines, I see Dr. Ali’s concern is not just simply ‘Abaya’, but our duplicity. If we speak about human rights then stick with it and do not try to interpreter it as Tamil tiger did .i.e, human rights = Tamils rights and Tamils’ rights= Tamil tigers’ rights. However, Dr. Ali also has gone wrong in some places. If he wants to establish Muslims girls’ right to wear whatever the way they like then he should not have issue with “Abaya”. It may be the way some teachers or Muslim women like to wear. Do you have a proper understanding of Islamic teachings? Wahhabi-Salafi teachings? What does the 7th Century Uthmanic Codex and the numerous Hadiths say? How did the Islamic Scholars, Philosophers and others, like Al Ghazal and Ibn Rushd, two prominent and outstanding Islamic Scholars and Philosophers say? Are the so-called “esteemed” Ulama aware of what was done before them? Are they still stuck on Revelation is Above Reason debate? The Quran was uncreated debate? The Earth was spread out like a carpet revelations? Direction of prayer around the world and the flat earth model? Fasting times in different parts of the world and the requirement for a Flat Earth? After all, those living in the Arctic and Antarctic circles, can’t follow those rules. So why not modify the Black Abaya? So, the Ulama are the real hypocrites, not Dr. Ameer Ali. Dr. Ameer Ali can think, but the Ulama can’t, a part of the Ulama training. The former lady President of India (2007 – 2012), Mrs. Pratiba Patil a born Hindu used to wear Saree covering her full body and veil over her head, her sweater like garment covered the neck area & body with sleeves up to the wrists, – she commanded much respect for that attire -. Even melody queens P. Suseela, Lata Mangeshkar appear very modestly dressed even in Saree, so the key ingredient here is “Modesty”. Me and my friends when at work we follow the dress codes decent enough & appropriate for office (even though there are no female co-workers in our office) and when we are out of office we wear casual cuffed pants up to ankles & cotton Jubba, like what PM Narendra Modi wears, which is decent, comfortable & cool, no issues. Guess Mrs. Pratiba Patil didn’t have to run around a hot classroom with many energetic children also contributing to the heat index. Also, North India is far cooler than Sri Lanka, being at a higher latitude. There would have been much air-conditioning around in the congressional offices by 2007 – 2012. Also, the congressional buildings are designed with high ceilings, which cause much air flow into the buildings (built by the British who had a better heat-index-iq). Compare that with the small hot cramped classroom. My narrative is about a ground reality, whilst yours is just a guessing game. Btw, the discussion here is about dress code & modesty, but you’re changing its direction to architecture, interior design & air flow in the Indian congressional bldg., in my view it is totally irrelevant to the topic being discussed. Your ground reality is based on the concluding words of your prophet. Interpretation it is difficult, once out of the desert environment and different chronological zone. Mine is hardly a guessing game, but self-evident observations if you can open your mind to such. One can be even more modest in a light cotton dress, or in a redda hatta. Once one’s body is at optimal temperature, one starts moving and working with greater zest – immodesty will be the last thing on one’s mind. Yes, Mr. Amarasii I’ve fairly good understanding of applied Islam(ic knowledge). Is anything goes against commonsense then it ‘s a cause for concern.Qur-anic teachins always meant to reflect common sense with a prospect of common good. Sunnah of prophet Muhammed(SAW)reflects that noble stance.whereas Hadiths have been the mixture of Sunnah and some imaginations,which go against Holy Qur-an. Is it not enough to assess my knowledge of Isam. Please revist my 1st comment and you may see some different view this time. Enjoy your Sunday.until next time stay safe and blessed. You should the works of Ibn Rushd, the 12 th Century, Judge, Jurist and Philosopher. He discuses Theology, Knowledge and Philosophy (love of wisdom), the conflict between theology and philosophy. Read Incoherence of the Incoherence, where he argued that Al Ghazali had the wrong target, and was incorrect 17 of the 20 arguments. These, reasonings were .indigestible to the Ulama of that time, even today. The only difference is that the Ulama can’t burn Philosophy books . Still the Ulama assert their hegemony over the majority of Muslims who can’t think. At least for the Ulama, it is lifestyle, just like for the Monks. Can you ask the “esteemed” Ulama if the Earth is spread out like a carpet, and requires a Flat Earth for the direction of prayer, and for fasting during the month of Ramadan, because those within the Arctic and Antarctic circles, cannot follow Fasting rules from Sunrise to Sunset?